Reynolds Catering Supplies a major fresh food distributor in the UK decided to stop using disposable cardboard boxes for delivery to its restaurants, cafés and hospital customers. It introduced a more durable, reusable and higher-value plastic crate, or tote. The company then faced a new challenge: managing those totes and ensuring that they are returned, as it delivers nearly 1 million crates of food across the country each year. Its IT team created a solution employing RFID technology, developing software integrated with its enterprise resource planning (ERP) system. It acquired fixed RFID readers from Impinjand worked with Avery Dennison to identify the most durable and effective tag for that purpose. The result is a system which automatically identifies when each crate is packed, as well as when it is shipped returned. The company can now identify where its totes end up delayed or missing. Since the system was taken live with some of its customers a year ago, says Richard Calder, Reynolds' IT director, the firm has saved approximately £150,000 ($197,000) in the cost of replacement totes. Major semiconductor provider STMicroeletronics has released a Type 5 Near Field Communication (NFC) tag chip that, says the company, provides a longer read range than other NFC tag types, as well as the low power that comes with the NFC Type 5 tag operation specification and tamperprotection. 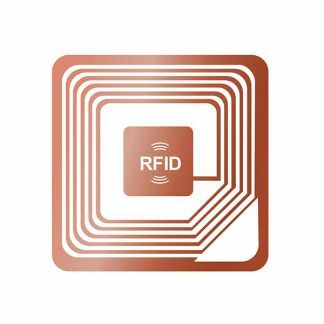 Its combination of long-range and tamper-detection qualities makes the chip a good product for the use of NFC and RFID to track a product from the point of manufacture through consumer engagement, even after a product has been purchased, claims STM. ISO 15693 transmission offers a longer read distance so it can be used for supply chain tracking, but also can accommodate a smaller antenna for NFC reads, in order to provide a similar transmission distance of other NFC types with larger antennas. Brazil's iTag RFID Smart Labels has announced a partnership with Taiwan's Printronix to provide radio frequency identification tags that will be sewn onto Asian-made apparel by brands sold in Brazil. The deal will allow garments to be tracked from the point of manufacture in countries like China and Vietnam. The entire process of goods passing through Asian ports, until their arrival in Brazil, can now be traced. In addition, the counting of items at their time of arrival can be optimized, with costs reduced due to the use of RFID technology to control manufacturing. iTag aims to boost the distribution and printing of smart tags throughout Asia. To that end, its efforts will be supported by Printronix, a global industrial printing company, through Maxhill Co. As a result of the partnership an RFID printing bureau will be created in Taiwan.